Or as additional practice and review of previously learned material. 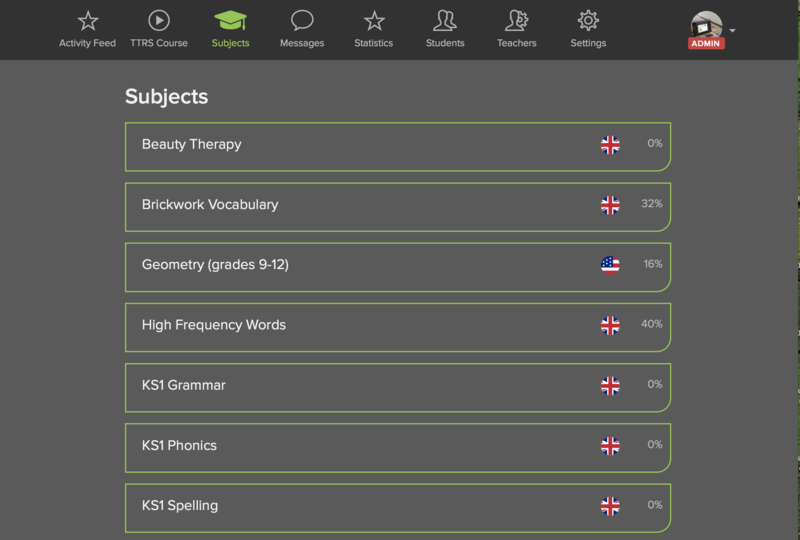 We recommend that students have completed the first three levels of the main course before using TTRS Subjects. This ensures that they are familiar with the keys and the correct touch-typing technique is applied. Click on Subjects on the main menu's top navigation bar. 2. Select a subject from the list. Note: The UK and US flags indicate subjects designed for that curriculum. 3. 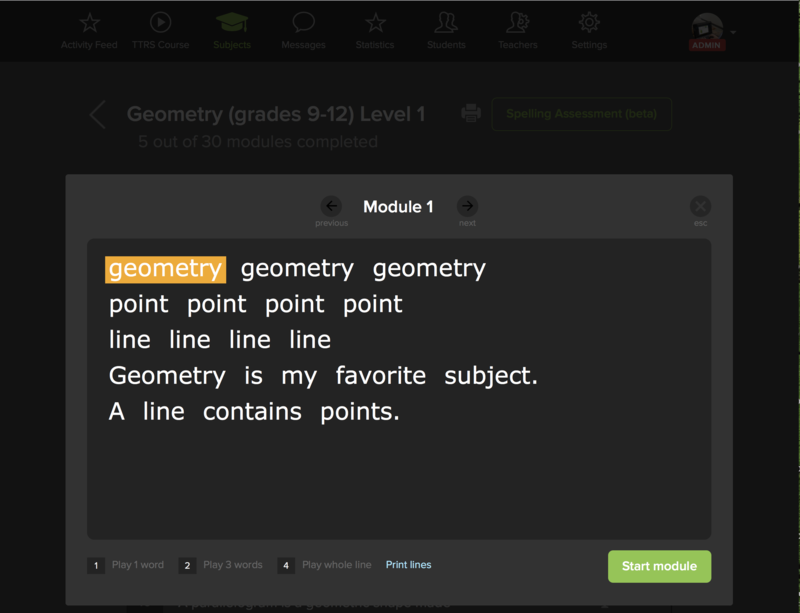 Click on a level then select a module to preview the wordlist, or start the course. 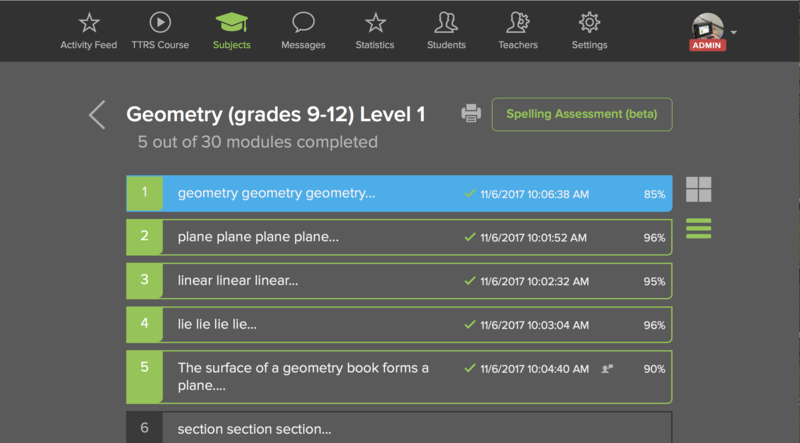 You can also access the spelling assessment of each level by selecting "Spelling assessment" in the top right corner inside a level. Admins and Teachers can monitor progress by selecting Subjects in the Student Stats list. New subjects will be added to your account automatically. Do you have a specific request for a subject? Let us know!